Last night Google lifted the lid on what CEO Sundar Pichai described as the “worst-kept secret in the industry.” That’s quite something from the company that brought us a product so widely leaked ahead of launch that people suspected it was a fake designed to distract from the real thing. This time, though, the product is Stadia, and it looks like Google will be changing the way we play games forever. Promising up to 4K, 60fps gameplay at launch on any device that can run a Chrome browser, it certainly has potential, but it is too good to be true? Here’s everything you need to know about Google Stadia. Google Stadia features: What does it do? In one sentence: Stadia lets you play triple-A games at 60fps anywhere where a Chrome browser can hit YouTube. It’s the company’s way of making top-level games available to everyone, regardless of how weak their hardware. In short, your device – be it a laptop, phone, tablet or TV with Chromecast – becomes a glorified screen, while the heavy-lifting work of graphical processing and actually running the game is done on Google’s servers elsewhere. If that sounds familiar, you probably remember OnLive and Gaikai which attempted a similar technical feat with less impressive real-world results. The former shut down, while the latter was bought by Sony to work on PlayStation Now and Remote Play. Why would Stadia be any different in its quest to become a standalone product? Well, the fact that it’s owned by one of the world’s richest companies will certainly help, and its strong links to YouTube and Google web infrastructure certainly won’t do it any harm either. Google Stadia: How does it work? In the demo, it worked like this. You’re watching a game trailer on YouTube – on stage it was Assassin’s Creed Odyssey – then at the end of it there’s a “play now” button. Press the button, and you’re instantly transported into the game: “no download, no patch, no update and no install”, as they said in the presentation. 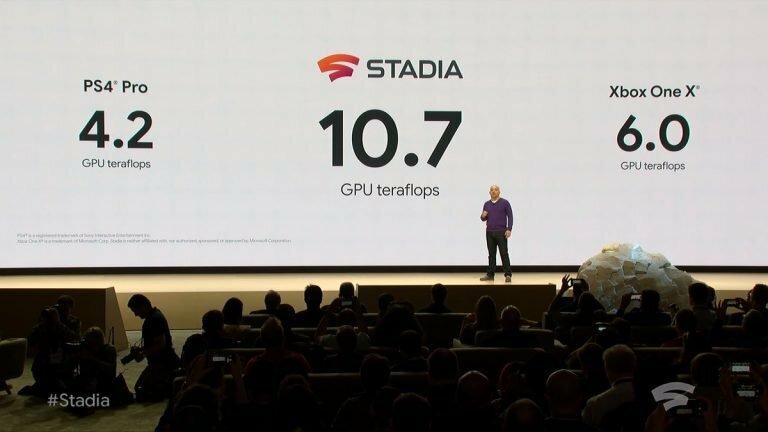 And it’s not a juddery experience, either: at launch, Google Stadia will support up to 4K resolution (depending on the screen on your device, obviously) at 60fps, but the company says it will support 8K resolution at up to 120fps in time. All of this, with minimal input lag, Google says, thanks to its global infrastructure of data centres that means one will always be close to the player. Another party trick: Google demonstrated the same game jumping from Pixelbook to Pixel 3 to laptop to Pixel Slate to Chromecast on a TV with next to no delay. It was a seriously impressive demo. Google Stadia specs: What’s inside? If it wasn’t already clear, Google Stadia isn’t a physical product to buy: it’s a streaming service, so the short answer to this is ‘nothing’. Of course, what’s actually powering the stream is a lot more impressive. The machines running Stadia are powered by a 2.7GHz x86 processor with 16GB of RAM. The company says it has partnered with AMD to make a custom GPU with 10.7 teraflops of power. To put that into perspective, the PS4 Pro runs at 4.2 teraflops, while the Xbox One X manages 6. Google Stadia design: What does it look like? Again, it’s a streaming service, so kind of like your current AV setup, or laptop or phone. However, Google is planning on creating one bit of hardware for this: a gamepad, which at a glance looks like a cross between the Xbox One controller and the PS4 version. It has two special tricks up its sleeve. The first is a Capture button: this lets you stream your gameplay straight back to YouTube in a move that should have Amazon-owned Twitch feeling a little nervous. The second is a Google Assistant button, which activates a microphone built into the gamepad. This will have special features on some games, apparently, but can also be used to bring up walkthroughs if you find yourself stuck. Google Stadia games: What can I play on it? That, for now, remains the million-dollar question. Only two games were officially namechecked: Assassin’s Creed Odyssey – the main focus of the demo – and Doom Eternal, which the developers say will run in 4K at 60fps. 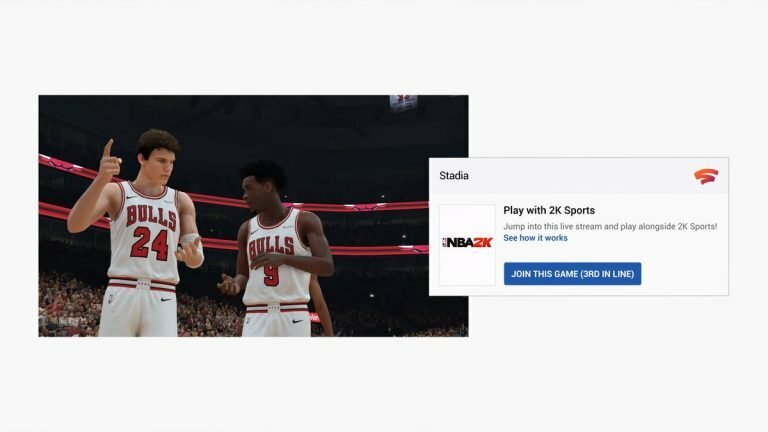 Other games – such as NBA 2K – were fleetingly spotted in the presentation, but it’s not clear if they were just for demonstration purposes rather than being an official launch partner. What we do know is that Google is actively courting developers. If you’re interested in building for Stadia, you can apply on the company’s official developer site. 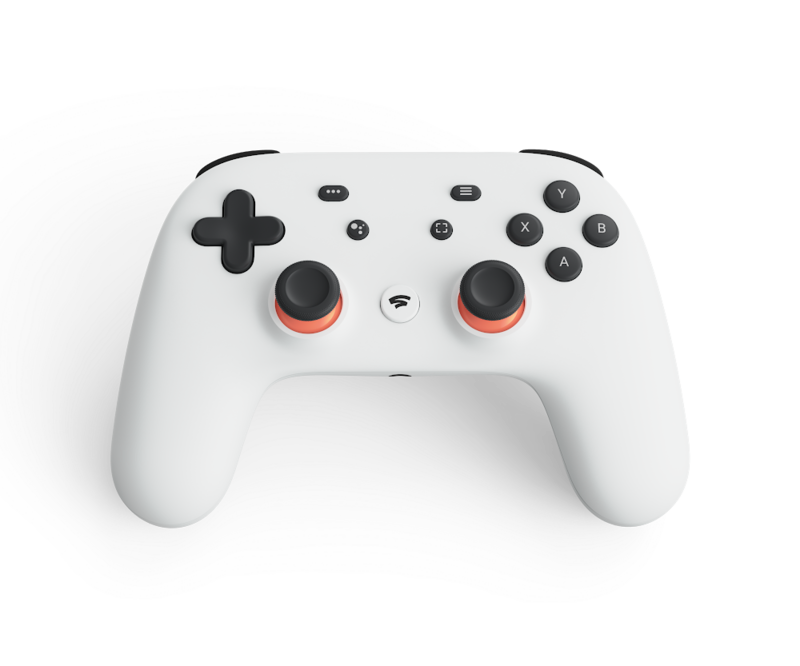 Google Stadia UK release date: When’s it coming out? This year, apparently. Google said it would launch in 2019, first in the US, Canada, the UK and “most of Europe”. So any point up to 31 December 2019, then – although Google did say it would have more to show in the summer, so not before then you’d assume. Google Stadia UK price: How much will it cost? Google didn’t say anything at all about pricing, but you would imagine a subscription model of some kind. How much is anybody’s guess, but it’s pretty obvious those cloud computers don’t come cheap, so prepare yourself for the worst. Google Stadia looks hugely impressive, and early feedback from people playing the Assassin’s Creed test last year seems to suggest Google’s promise is real. Assuming that’s the case, the success of Google Stadia comes down to three things. First, there’s the games library. No matter how many games Google can make itself – and it is working on them, having hired Jade Raymond to lead the studio – it’s still going to struggle if other publishers don’t play ball. The second is the price. This technology looks expensive, and a high monthly subscription cost could strangle any chances of success. The third is competition. Google can’t be the only ones working on something like this, and it’s entirely possible a competitor is just waiting to throw its hat in the ring. With all of these, we’ll know more later in the year. Watch this space. Thank for your visiting on this page What is Stadia? Google’s low-latency 4K game-streaming service is coming in 2019, We hope this post can be a good reference for you and provide useful information for you :-).